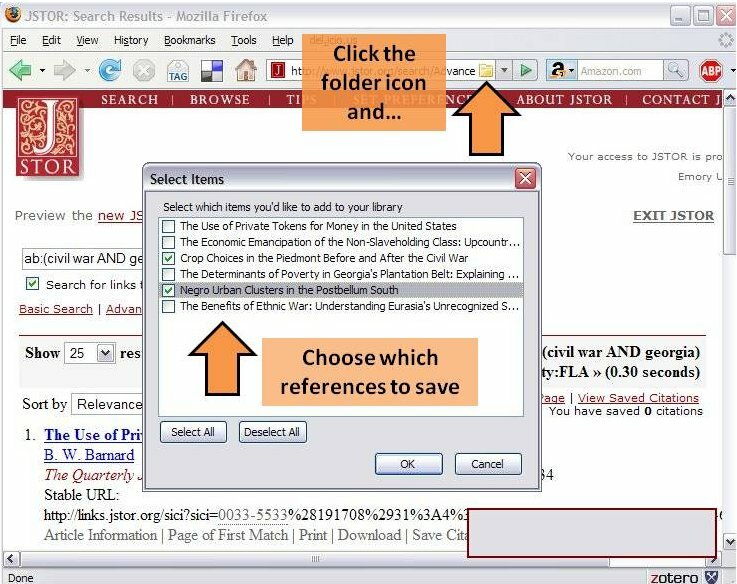 Zotero provides the ability to save references from most library catalogs and databases, and even some regular web pages, with one click. (Zotero has published a list of compatible sites.) If Zotero detects that you're looking at a book or article on a catalog, database, or a site like Amazon, LibraryThing or the New York Times, you'll see a different icon appear. The example below shows the book icon. 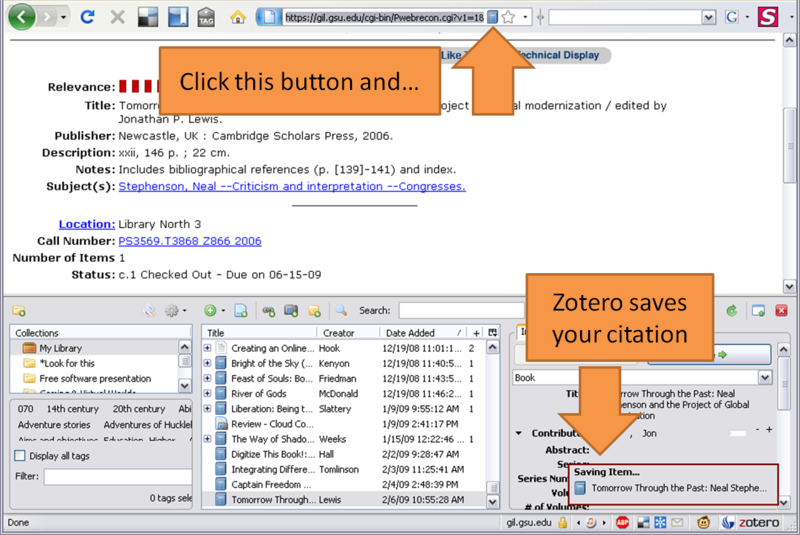 Just click the icon and Zotero will automatically save the citation. You must, however, make sure that Zotero Standalone is running otherwise it will not have anywhere to save the reference to! If you're on a page of search results with many items, you'll see a folder icon instead. Click this to get a list of all the items on the page, and check off the ones you want to save. 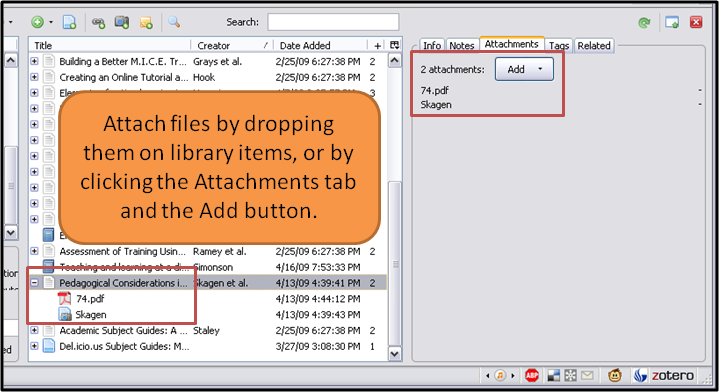 It's easy to attach files (like PDFs) to items in your Zotero library. Just drag the file into your Zotero pane. Dropping a file onto a collection, or in between library items, will copy it into your library as a standalone item. Dropping it onto an existing item will attach it to that item. This is the easiest way to attach a copy of an article to its entry in your library. Each item also has an Attachments tab in the right column. You can attach files by clicking the Attachments tab and then the Add button.